Negative SEO is real, and it can have a serious impact on the overall search ranking of your business. Learn what this means and how you can prevent damaging attacks. Search Engine Optimization (SEO) is still the stuff of legend for many business leaders and marketers. Even though the term is familiar and you know that it has to do with your ranking on search engines, exactly how it happens and the various factors that impact your ranking may feel as though they’re a bit cloudy. Unfortunately, not only do you have to be concerned with SEO rankings, but there are ways that your competitors could unleash a devastating negative SEO attack that has the potential to cause long-term damage to your search unless you catch the problem quickly and take steps to reduce the impact. Protect your business and make your competitors play fair when you steer clear of these negative SEO practices. One of the most important things to know about SEO is that it’s a great leveler: a small business who has a laser focus on SEO could easily rank above a much larger competitor in search results. The higher you are in search results, the more likely it is that you’ll get that customer, deal or offer. Plus, a higher rank in major search engines often equates to credibility in the eyes of consumers. 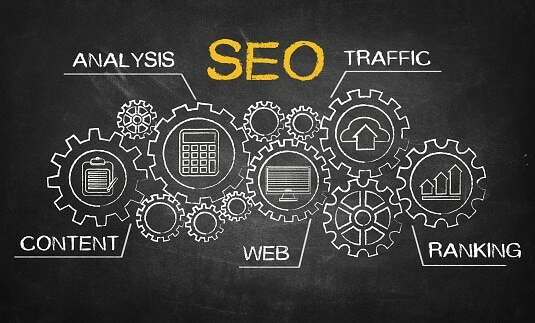 Good SEO starts with a solid plan for keywords that are important to your customers, which can easily be discovered through a little work, brainstorming ideas and using tools such as the Google AdWords Keyword Planner to see the types of terms customers use naturally when searching for your business. When you incorporate these keywords into the content produced either via a blog or on social media and your website, you’ll see your organic traffic begin to grow. Negative SEO is often considered an attack by an unfriendly competitor or other organization and can be used to describe a variety of different tactics. These include spammy links and forceful crawling, both of which can cause long-term damage to your site’s traffic and overall search results ranking. Plagiarism is another potential cause of negative SEO. If a site happens to grab your content, publish it, and have it indexed by Google before your site is crawled, there’s a possibility that you can be penalized for duplicate content. While this doesn’t happen as often as some other causes of negative SEO, it does happen. Forceful crawling is when a cybercriminal causes a heavy server load on your website, which can lead to slow loading times and reduce your SEO ranking and user experience overall. Spam farms are the most likely cause of negative SEO and are also the easiest for outsiders to perpetrate against your website. Poor quality backlinks are the bane of Google, and it penalizes sites swiftly and harshly for this practice. Unfortunately, that makes this an excellent tool for negative SEO practitioners who are looking for ways to reduce the ability to discover your website. This manipulation of search engine rankings has led to an excellent tool that can be utilized to help shut down spam farms, the Google and Bing Disavow Links tool. At it’s simplest, anyone can go to a bulk link-building service and generate tens of thousands of spammy links in a very short period of time. While previously this practice was difficult to protect against, the Disavow Links tool from the two major search engines allows webmasters to take back some power by submitting links that appear to be spam back to Google and Bing. By reporting these links, you can reduce or eliminate the impact of any negative SEO practices that include spam links. Perhaps one of the best ways to guard against any type of cyber attack is to ensure that your security procedures are in full effect. This includes applying patches in a timely manner and only utilizing CMS (Content Management System) software that has top-notch encryption capabilities. Security protocols are especially important as they can protect against potential hacks to your website that could tamper with your robots.txt file — which could lead to a massive drop in rankings should your entire site be de-indexed. Staying vigilant involves keeping track of your site’s overall search ranking and taking immediate action to remediate should your ranking fall dramatically. Finally, negative Google reviews for your business can be nearly invisible unless you’re looking for them — yet they are a strong indicator of whether or not your site will show up well in search rankings. If your competitors suddenly submit a large number of negative reviews against your brand, you may find that your search ranking is falling fast, and for no reason that you can quickly identify. This is why it’s important to Google your business often and ensure that you stay on top of any reviews that are suspicious. The ways that negative SEO can be leveraged against your business can be subtle, but the impact to your business can be significant over time in terms of lost traffic to your website and even lost business. Protect your organization by ensuring you have the latest security patches in place, checking your ranking often and staying aware of incoming links on your sites. Want to learn more about best-practices for security on the internet? Contact our Omaha professionals by contacting InfiNet Solutions at (402) 895--5777 or via email to info@omahait.com.